Julie was nice enough to accommodate my request to bake her recipe for Bee Sting Cake last night. I’d only recently learned of the existence of Bee Sting Cake (or Bienenstich, in German) when I tasted it at the Mercedes-Benz commissary during Octoberfest. 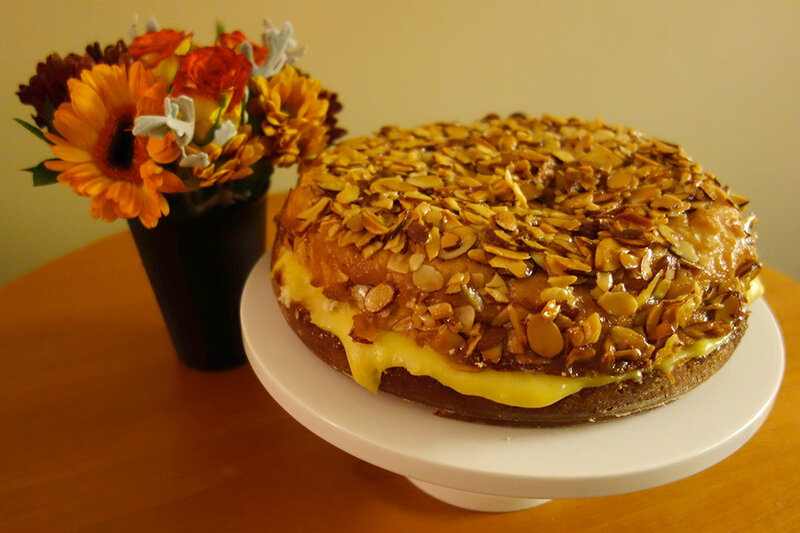 For those who haven’t encountered it yet, it consists of sweet yeast cakes with a custard cream filling and a caramelized honey almond topping.